Opinion: The Liberals shut down the Parliament this week. They officially stopped governing – and are still not governing. We now have a new Prime Minister, who is illegitimate – not chosen by the people – allegedly running the country. The Liberals can change their leader, but they can never unite, unity is not in their DNA. The very definition of neo liberalism means they will never, ever have unity. 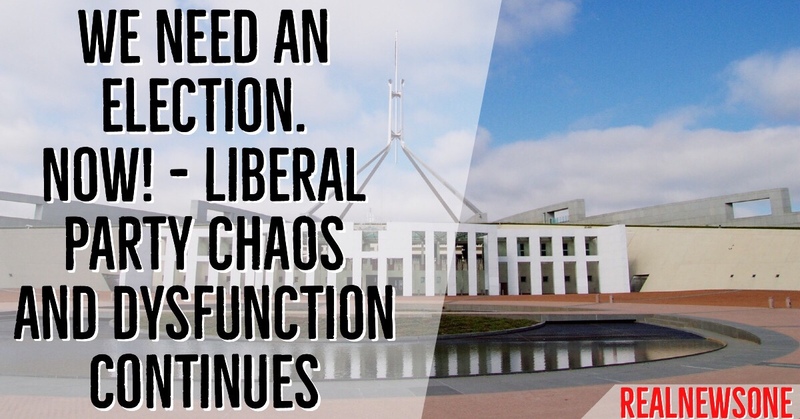 The chaos and dysfunction of the Liberal party and by extension the coalition can no longer be allowed to continue. It is time to let the people of Australia decide. It is time for an election now! Make no mistake, the LNP and Scott Morrison are still in total crisis. They are so fractured that the election could be called any day. It should be called today. Don’t forget Scott Morrison was the architect of the Abbott-Turnbull Government’s plan to give billions of dollars in handouts to the banks. He has voted time and time again to cut hospitals, cut school funding and cut penalty rates. The people of Australia are not happy about this sort of instability because while the Government focuses on themselves, they’re not focused on the issues that matter to Australians. It hurts the country and it hurts Australian families. The rumour mill at Parliament is still swirling with speculation that there could be another leadership challenge against Morrison at any time – the rabid right didn’t get who they wanted.